Looking for World History worksheets? 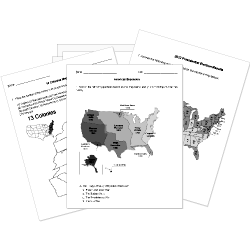 Check out our pre-made World History worksheets! You can create printable tests and worksheets from these Grade 10 African Imperialism questions! Select one or more questions using the checkboxes above each question. Then click the add selected questions to a test button before moving to another page. The Boer War was fought between Great Britain and France. Who was the Queen of Asante that led the battle against the British in West Africa? From which continent do the African colonists come? A meeting at which representatives of European nations agreed upon the rules for the European colonization of Africa. At what meeting were the African territories divided among the colonists? What type of land makes up much of France's African holdings? A group formed in protest of the policy of Apartheid in South Africa, led by Nelson Mandela.